Spectraa Technology Solutions Pvt. Ltd.
We provide consultancy services for Up-gradation Of Manufacturing Plants from say 33 kV to 66, 132, 220, 400 & 800 kV class. We are providing Electricity Supply Services to our clients. The 33/11 KV Electric Substation is operational for 24 x 7 electric supply in the town. Electric Connection is being provided by us and when demanded, supply shall be provided through power in the town. Ess Aar Universal (P) Ltd. The aim of Akzentec is to provide a prime quality electrical project service, maintaining all through the range of industries which caters for the specific needs as required to supply for the complex engineering programs inside demanding timescales. Our service includes designing the layouts, Sittings, and PMC. Industry leading, intelligent and knowledgable experts work on your projects, to make the consultancy projects safe, cost effective and quality superior. Electrical: Selection of electrical equipments, designing of panels, cable sizing & routhing, area classification drawings etc. We are engaged in offering Power Installation Services to our clients. These services are render by us at most competitive prices. Lighting up for fashion requires tremendous understanding of the glamour business. Our creative team has notched up many a success, by understanding the client and producing lighting design to match his creations. Our firm is one of the prompt growing Electrical Consultancy The excellence of the service is perfectly superb that ensures complete customer satisfaction. Our company is capable of catering the customer's ever-increasing requirements of this service. 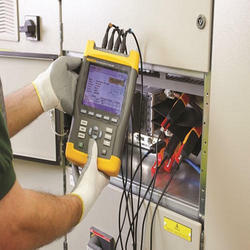 We are one of the, reputed Electrical Consultancy which is according to modern demand of customers.